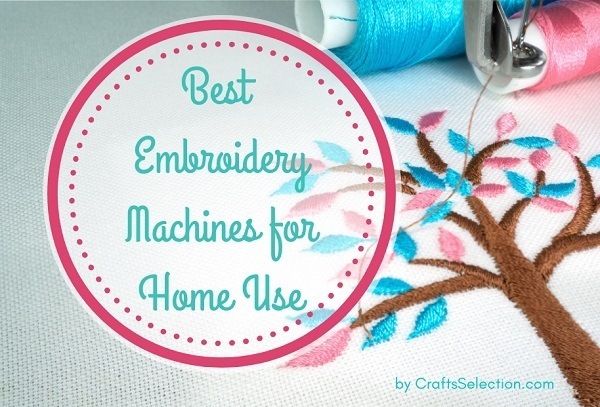 What is the Best Embroidery Machine for Home Use? In this day and age, there are numerous types and models of embroidery machines out there, each with its own unique capabilities. For instance, there are those machines that are specifically dedicated to embroidery only while there are those that can do both sewing and embroidery work. Alternatively, there are those that are computerized and those that are not. So, with all these choices, how can you ever choose? Given, it can be difficult and a tad bit confusing. 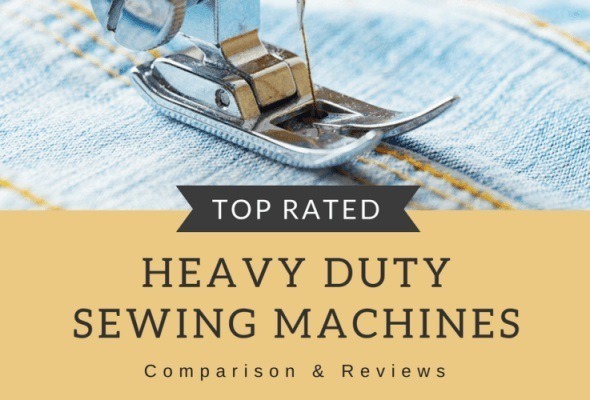 That is why we came up with this informative review that contains the best embroidery machines for home use on the market today. 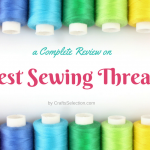 To save you the trouble of going through hundreds of best home embroidery machine reviews, we decided to gather all the best ones in this powerful review. In here you will find machines ranging from the classic combo machine to the modern computerized embroidery machine for home use. Whatever it is that you will need, you will definitely find it here. With 138 built-in stitches, a built-in memory and a USB port, the Brother PE800 is one of the most efficient embroidery machines of our time. This Brother home embroidery machine also comes with a brightly lit work area that makes using it highly convenient. What’s more; this machine gives you extensive editing rights. It allows you to mirror, rotate and change the size of your designs. 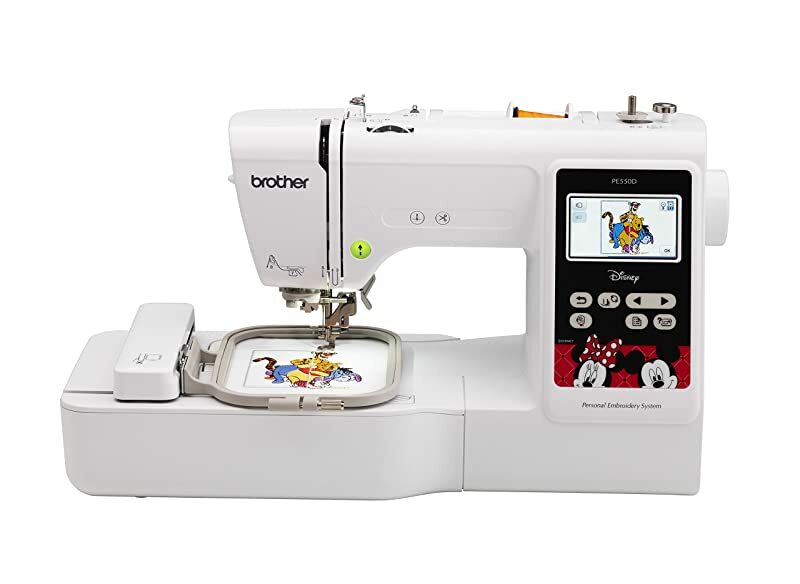 Users of this Brother embroidery machine especially love that it is equipped with a programmed thread trimmer, an automatic needle threader and the drop-in bobbin system. These features make this machine extremely user friendly. This user friendliness is farther enhanced by the fact that this machine comes with step by step tutorials that can be viewed directly from the LCD screen. 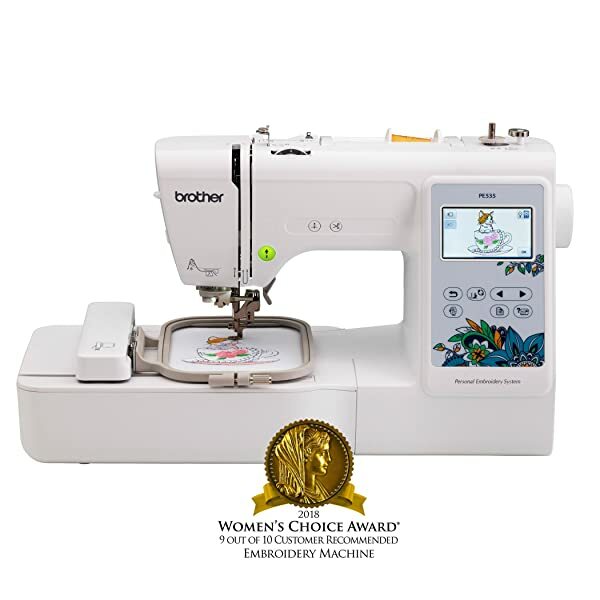 We also can’t fail to mention that the Brother PE800 comes with awesome accessories like 4 bobbins, a needle set, a cleaning brush, a seam ripper and a dust cover. If you are looking for something efficient yet extremely user friendly, the Brother PE800 is definitely the best embroidery machine for home use. Although it is not the most inexpensive embroidery machine on the market, it will definitely not disappoint you. Suitable for beginners and experts alike, the Brother PE535 is known for its pocket friendly price. The sleek design and elegant look are perfect for home setting. An upgrade of the PE525, the Brother PE535 comes with 80 built-in embroidery designs, 9 font styles and 10 frame patterns; features that make it easy to embroider with. Another attractive feature of the Brother PE535 is its large LCD color screen that makes it easy to use. For those looking to import designs, you will be glad to know that this embroidery machine has a built-in memory function and USB port. More importantly, it can be connected to a computer to give you access to more than 5,000 designs on iBroidery.com and other sites. On the downside, this home embroidery machine is specifically built for embroidery only. Additionally, its 4 by 4 inch hoop size is highly limiting. 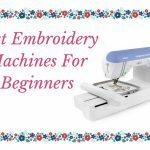 So if you’re new to embroidery or you only want to embroider small designs, this user-friendly embroidery machine is a great machine to buy. 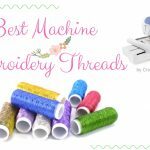 Some of the accessories that come with this machine include prewound bobbins and a nice pair of scissors. If you are working on a budget but still want a machine that produces high quality embroidery, the Brother PE535 is your best. 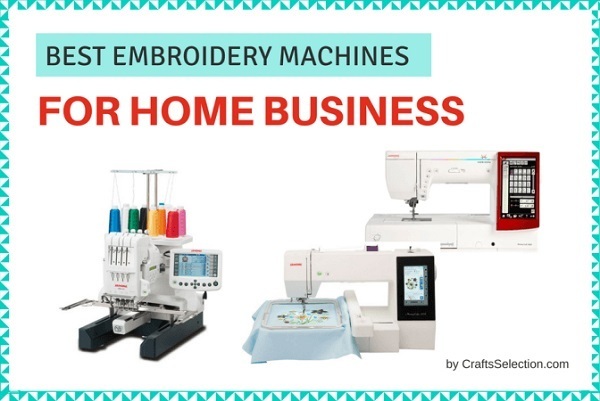 In fact, it is currently the best affordable embroidery machine for home use on this list. When it comes to embroidery machines, Brother is the most popular name here and rightfully so. Over the years, they have come up with some of the best products in this category and continue to do so even today. But there is something that sets this PE550D embroidery machine apart from the rest. This machine is capable of producing 45 Disney designs which are nothing short of bliss for lovers of Mickey Mouse and Donald Duck. These are easy to produce embroidery designs. This becomes even more useful if you have kids at home. That is not the end! Apart from the 45 Disney designs, there are 80 other ideas built in inside the machine. Add to that, it comes with 9 lettering fonts (6 English and 3 Japanese). If you still aren’t perfectly content with the designs, there is no need to worry yet. After you are done with the inbuilt designs, you can move on to the designs available on the websites online by connecting your embroidery machine to the computer. Also, there is a USB port that helps you bring in designs from different sources to this machine. The LCD touchscreen display is perfect for editing your designs. You can view all your ideas there and then plunge into the world of beautiful embroidery decoration. Again, there is only one drawback with this machine. 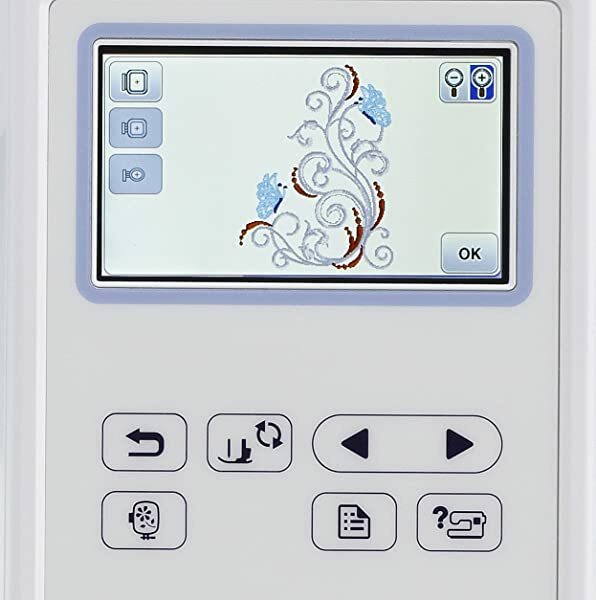 The device can only perform embroidery work and is not able to do the normal sewing work. Other than that, this device gives you the best performance. 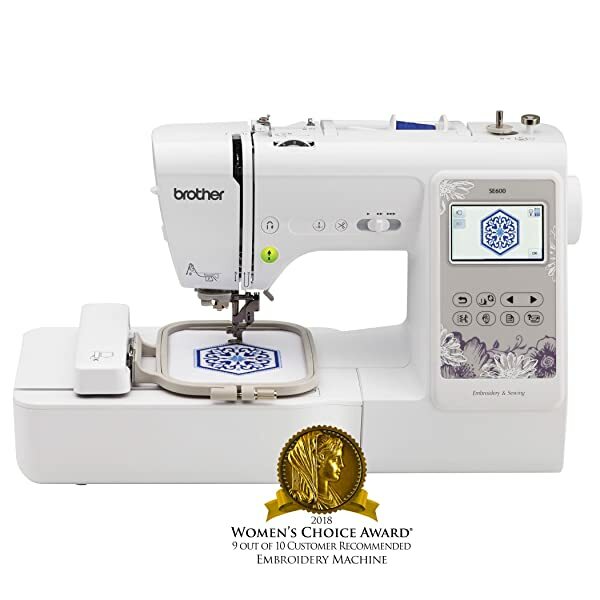 The Brother PE550D assures you high-quality work and designs and brings to you accessories like a needle set, bobbin thread, seam ripper, screwdrivers, USB cable and the likes. It is a great machine for the money. When it comes to versatility, nothing quite compares to the Brother SE600. Not only does this machine do embroidery but it can also pull off some quite impressive sewing work. 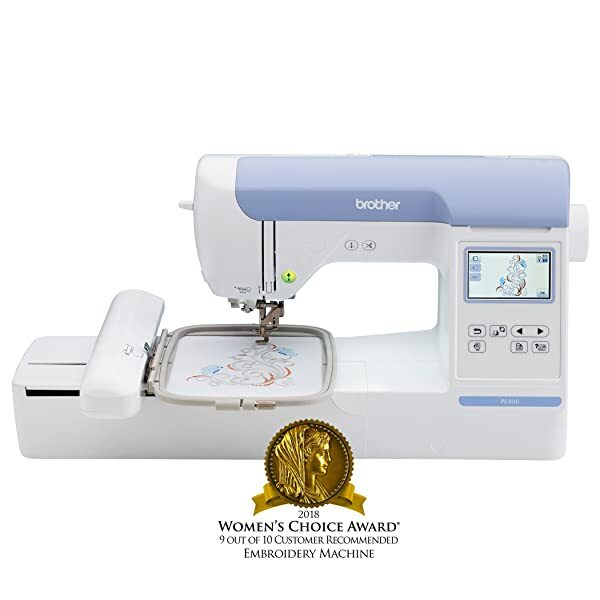 This home embroidery sewing machine comes with 80 built-in embroidery designs that you can choose from by just flicking a button. Users who would like to import designs will be happy to know that this home embroidery sewing machine also features a USB port that makes it very easy to do so. For those who are equally interested in sewing and embroidery, worry not. This machine’s sewing functionality is just as good as its embroidery one. First of all, it features 103 built-in stitches that gives you the freedom to work on a variety of fabrics and designs. 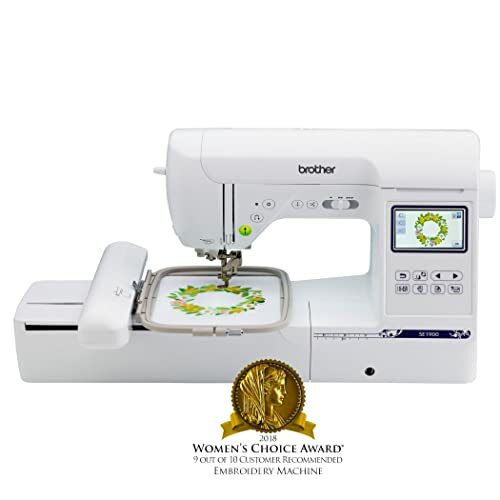 Another feature that all the users of this home embroidery sewing machine appreciate is its colored touchscreen that lets you seamlessly choose your preferred thread color and edit your designs. 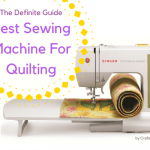 When this is coupled with other convenience features like an automatic needle threader and a quick-set drop-in bobbin, it becomes clear why many find this machine easy to use. However, it limits you to a 4 by 4 inch embroidery area. Ultimately, this easy to use embroidery machine Brother SE600 does a good job at both embroidery and sewing. It is definitely worth every penny it costs. 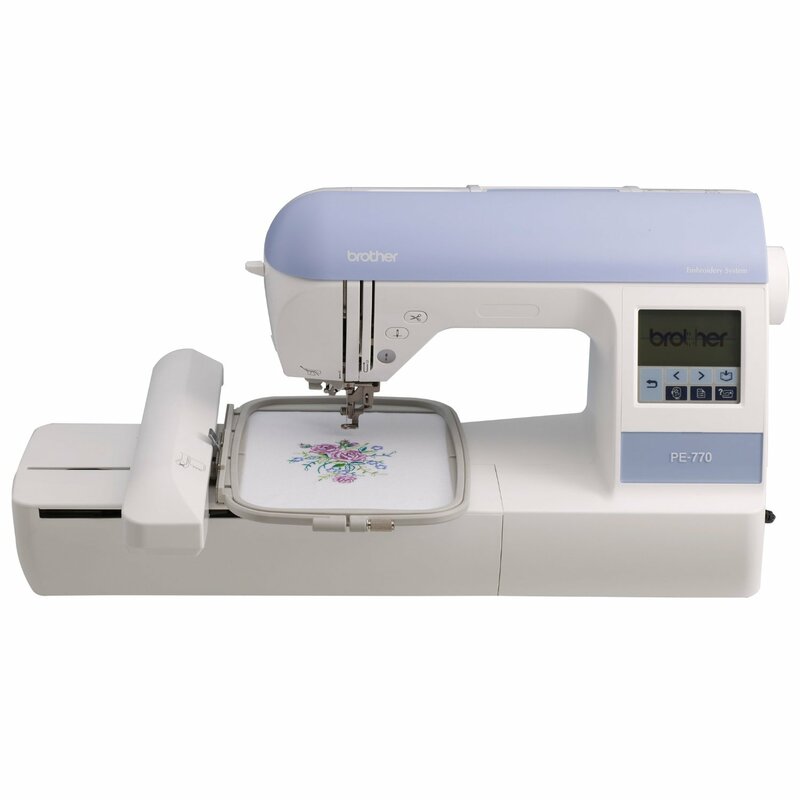 Like the Brother SE600, the SE1900 is a computerized sewing and embroidery machine. As winner of 2018’s Women’s Choice Awards, it doesn’t disappoint. 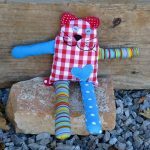 It is packed with a host of features that make it perfect for intermediate and expert crafters. It is especially suited for those with a sewing business. One of the best features of this embroidery machine is its large 5” by 7” embroidery area size. This makes it easy to work on large projects. 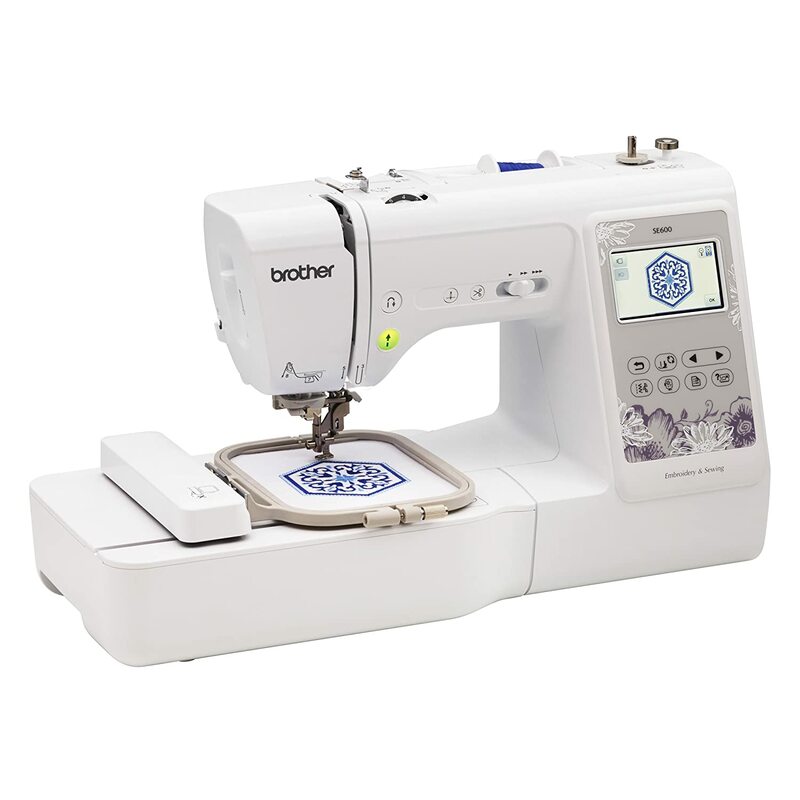 Users of the Brother SE1900 are also smitten with its 138 embroidery designs and 240 sewing stitches. This is a large enough variety to pick from. However, if you feel that they are not enough, you even have the option of designing your own sewing stitches and importing designs from elsewhere. We also can’t fail to mention this machine’s built-in LED light that makes sure that your workspace is always well lit. However, not everything as all rosy; the Brother SE1900 does face some drawbacks. The major one is that although it comes with a CD with 15,000 embroidery designs, some of them are outdated. I am not going to lie to you, the Brother SE1900 will cost you a pretty penny. However, it will give you value for your money. 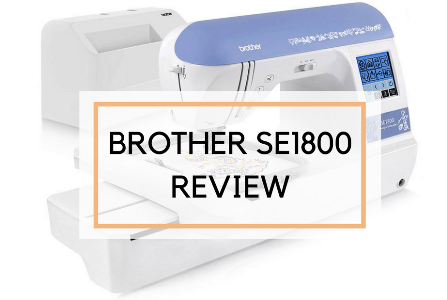 With all its features and functionalities, it comes as no surprise that the Brother SE1900 is currently the best embroidery sewing machine for home use. 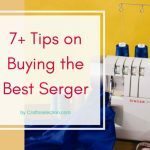 Singer has long been known for producing some of the most impressive sewing and embroidery machines, one of which is the Singer Superb EM200. As its name suggests, this machine is utterly superb. 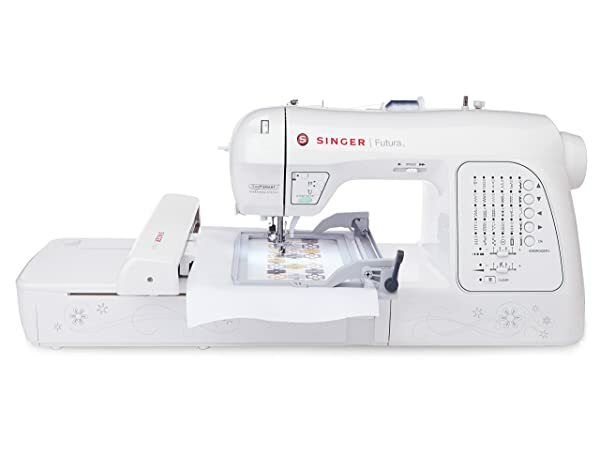 Designed specifically for embroidery, the Singer Superb EM200 has several amazing features. However, the feature it is most known for is its large embroidery hoop of 10 ¼ by 6 inches. This allows for a very large embroidery area. It is worth noting that this machine is currently the home embroidery machine with the largest hoop. But don’t be fooled into thinking that this is the only thing that it has to offer. The Singer Superb EM200 boasts of impressive working speeds of up to 700 stitches per minute. 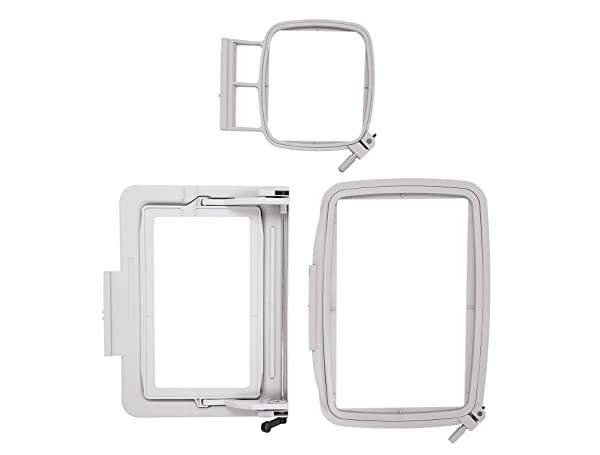 We also love that it encompasses a heavy-duty metal frame that ensures that you enjoy skip-free sewing. Beginners will especially appreciate that the Singer Superb EM200 comes with access to a free Singer online class that teaches you how to use your machine. However, even the greatest of machines have their shortcomings, and the Singer Superb EM200 is no different. While some users have complained of occasional bobbin winder issues, others have had problems trying to change thread color using the LCD touch screen. Undoubtedly, the Singer Superb EM200 has lived up to the reputation of Singer products. It is durable, efficient and full with convenient. This is definitely a good choice for experts. This is yet another one of Singer’s great productions. 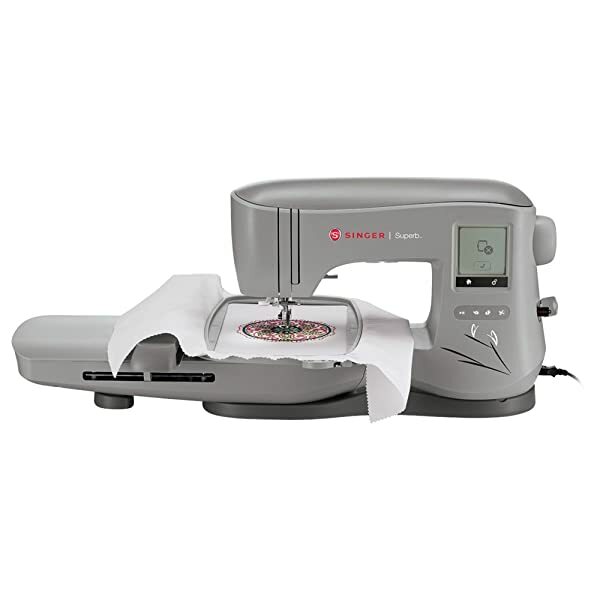 This stylish embroidery machines is capable of both sewing and embroidering at very high speeds. It sews at 800 stitches per minute and embroiders at 700 stitches per minute. Like the Superb EM200, it comes with a large embroidery hoop of 10 ¼ by 6 inches; a feature that makes it popular among people who frequently have to work on large projects. 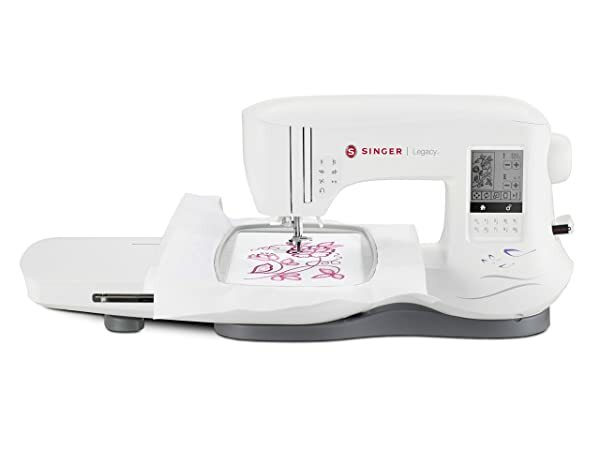 With its 200 embroidery designs and 6 alphabet options, the Singer Legacy SE300 gives its users a large pool to choose from. However, what these users really love about this machine is its numerous convenience features that make using it a breeze. These include its LCD touch screen, its USB port and LED lights. These make it extremely easy to edit designs, transfer designs and work in the dark respectively. On the flipside, some users found the initial set up of this machine a little confusing and frustrating. It goes without saying that the Singer Legacy SE300 is packed with advanced features that will make any experienced crafter swoon. 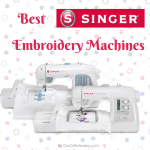 While it is not the best pick for beginners, it is definitely the best Singer embroidery machine for the experienced lot. With 200 embroidery designs and 5 fonts, the Singer XL-420 can effortlessly fulfill any of your embroidery needs. It is also important to note that this machine allows for basic editing of these designs. You can do this by using the included embroidery design software. It lets you delete parts of a design or resize designs and letters to suit your preferences. Crafters who work on different sizes of projects love that the Singer XL-420 comes with 3 embroidery hoop sizes (4” by 4”, 6.75” by 4” and 10” by 6”) as this gives them a variety to choose from. Another amazing decision the designers of this machine made was to have an 8.25-inch distance between the needle and tower. This provides enough space for the really big projects. 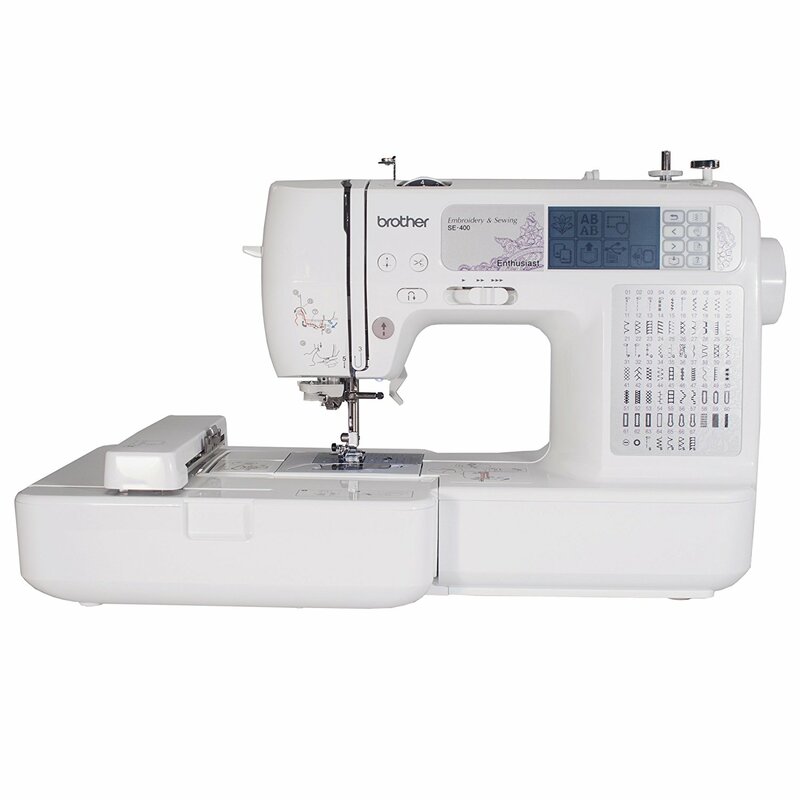 This machine has the classic Singer heavy-duty metal frame that makes sure it is durable and sturdy enough to allow for skip-free sewing. The fact that the XL-420 comes with a programmable needle up/down function and a Swiftsmart threading system makes it extremely easy to use. However, a major shortcoming of this machine is that its embroidery design software is only compatible with Windows Operating System. Some of the accessories that come with the Singer XL-420 are thread spool nets, bobbins and spool pin caps. As much as the Singer XL-420 is definitely not the best embroidery machine on the market right now, it gets really close, and at an affordable price. 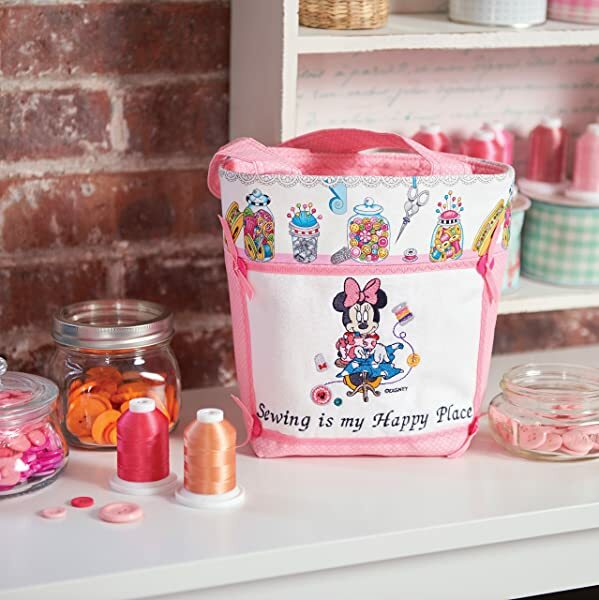 This is why it is one of the top rated home embroidery machines of our time. Not only are these machines highly rated on e-commerce websites but they all won 2018’s Women’s Choice Awards. These embroidery machines all have large LCD screen displays that make choosing and editing designs super easy. They also come with a host of features and accessories that make them suitable for any kind of embroidery you would want to do. At the end of the day, the major thing that separates these three machines is their prices and levels of versatility. If you are on a tight budget, you would be better off with the Brother SE600. On the other hand, those on a moderate budget could go for the Brother PE800. However, if money is no problem to you, you should definitely get the Brother SE1900. This is the most versatile and most efficient of all these machines. There is really no going wrong with this choice. As I said before, it is truly the best embroidery machine for home use. One thing that was really a big issue earlier was the fact that in manual embroidery, people or humans were the only ones who had to work around the clock to give the patterns and designs on the materials. The whole process was tedious and required a lot of attention. But in machine embroidery, the participation of man has been hugely reduced. Another advantage that you will get here is that chances of human error in designing also decreases tenfold. It also means that you will also get near perfect or flawless products which are something that all of us want. So here the machine embroidery is having dual advantage which can only be music to an embroidery enthusiasts ears. You have to understand that when you are employing people to perform such skilled work then it is but natural that they will charge a particular amount of money as it involves creativity and expertise. In addition to that, there is the cost of the threads and needle and other ancillary objects. So you will find that the end cost you incur is very high. But if you do the same work with the help of home embroidery machines or home monogram machines then you will save a lot of money. This is another plus to having a proper embroidery machine for home use. As mentioned earlier, embroidery is a tedious work and consumes a lot of work which in effect means that you will stand to lose a lot of time to it. But if you use an embroidery machine then you will get your end product in almost no time which means that you can save a lot of time. Another good thing about embroidery machines is that you will find (whether you have an older or an advanced model) pre-loaded designs and patterns. This makes sure that you don’t have to think too much to get the best designs for you. 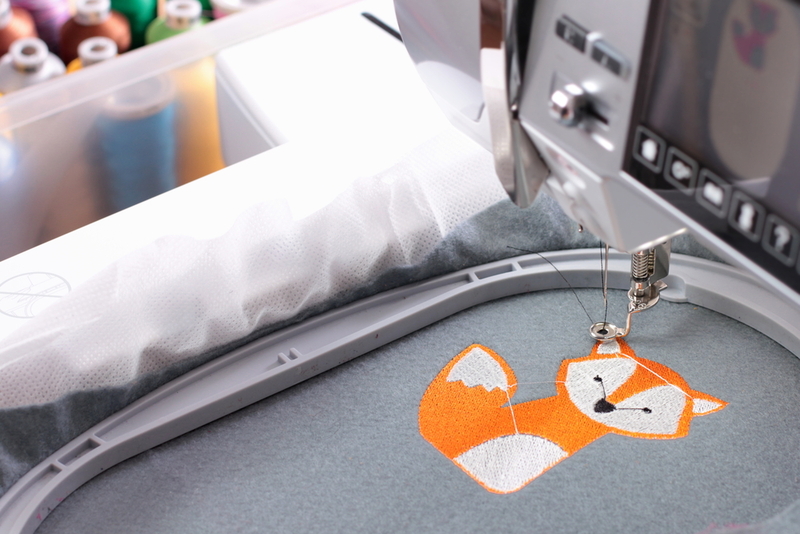 How Does An Embroidery Machine Work? One thinking that must have crossed your mind is that how does the whole process of machine embroidery actually work. This is why we decided to include this particular information in our review. Embroidery, in general, is known for the intricate needlework and naturally, they take patterns catering to the designer’s interests. But in machine embroidery, any such requirement is not needed. Everything here is digitized and minimal effort from humans is to be given here. This means that even if you are not very good at designing but are an embroidery enthusiast, with the help of the embroidery machine you can get the desired designs. As far as designing is considered, the process is pretty easy once you get to know what it is that you exactly need to do. Firstly, embroidery machines for home use often come with pre-loaded designs and pattern. So if you are an operator then you will need to select the design that you want to give to the textile from the screen on the product. In most of the older machines you will find that the designs are pre-loaded but as you move on to the newer models, you will get the option of editing the already existing designs. This helpful editing function enables you to make your own designs and patterns easily. After choosing the designs, the fabric on which the embroidery needs to be done is attached to a stabilizer. The machine will actually tell the embroiders the exact moment when they will have to change the threads and will guide them through the completion of the process. How To Choose The Best Embroidery Machine For Home Use? The first thing that you should do is decide why do you need the machine as it will help you decide what type and the kind of specifications that you would need in your product. The second thing that is of utmost importance is that you should check out the features that are being offered and whether your computerized embroidery machine for home has the minimal features of embroidery and sewing. You will also need to see the type of designs that are on offer before deciding on which machine to choose. It is a must that you go for a product that gives you more and better designs and patterns within your budget. Moreover, the budget plays a very important role in choosing the product as you wouldn’t want to spend excessive money unnecessarily, therefore get a clear idea about your priorities. You must give due care especially in checking the other features that you are getting with your embroidery machines. Plus, the warranty is an important issue, so do verify how many years of warranty the machine gives and what are the parameters for availing them. 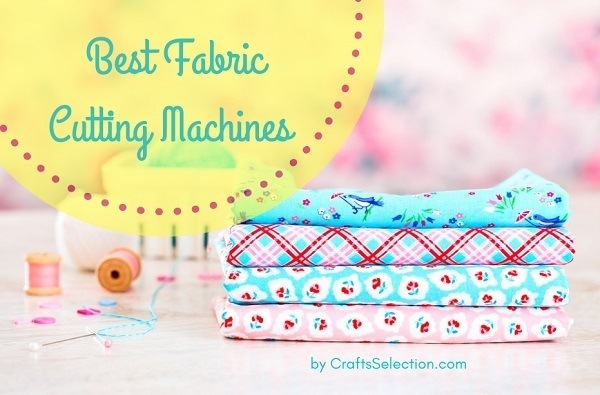 We hope that these best home embroidery machine reviews have been helpful as we have tried to give you an unadulterated look into the embroidery machine world. We hope that after looking at the features, advantages, and reviews of the best products in the market, you are better equipped for choosing the right embroidery machine for yourself.